Those pesky folks from Sand In Your Eye have been at it again! 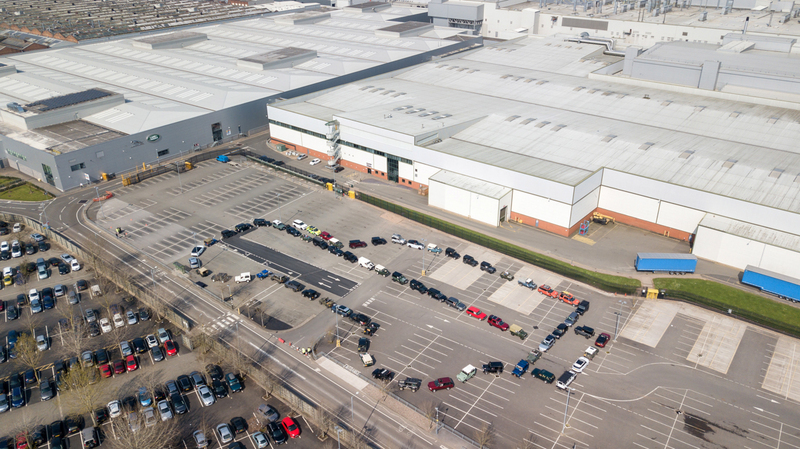 At the end of April they snuck into the Land Rover Jaguar factory in Solihull in the thick of the night, like little elves and rearranged all the car parking bays! However this was not some ruse to frustrate the mechanics. 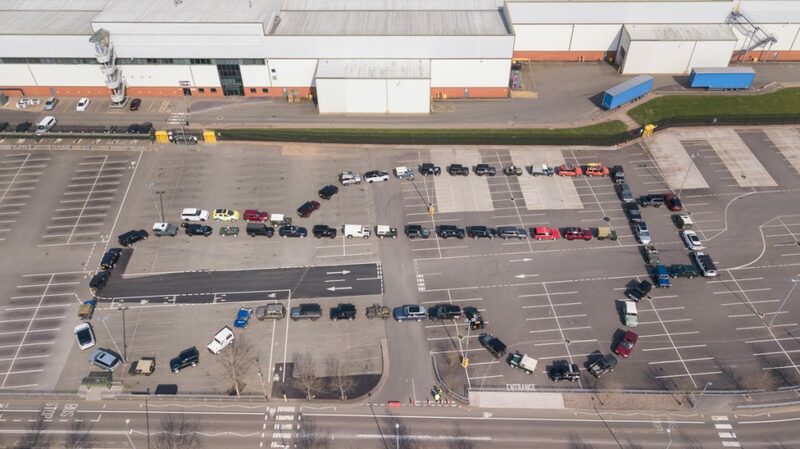 Ross Pinnock from Performance Communications had asked us to mark the 70thAnniversary of the production of the first Land Rover by replicating our epic Line In The Sand Land Rover Defender sand drawing from 2015 – but this time at the Solihull factory using 70 Land Rovers of all different models and eras. 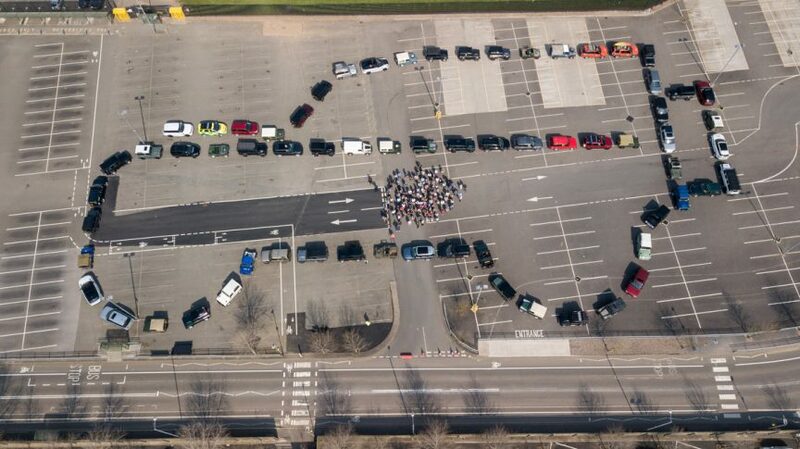 Now it was a line in the car park. 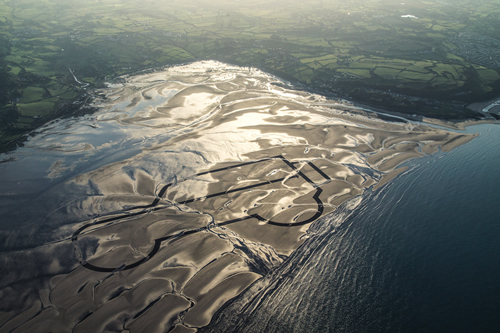 A bit of a left turn for us, from sand art, via land art, to vehicle art. 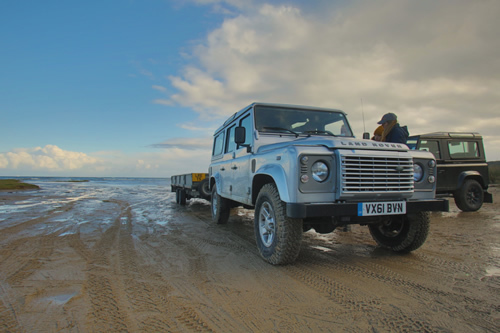 We were delighted to work with Land Rover Jaguar again. 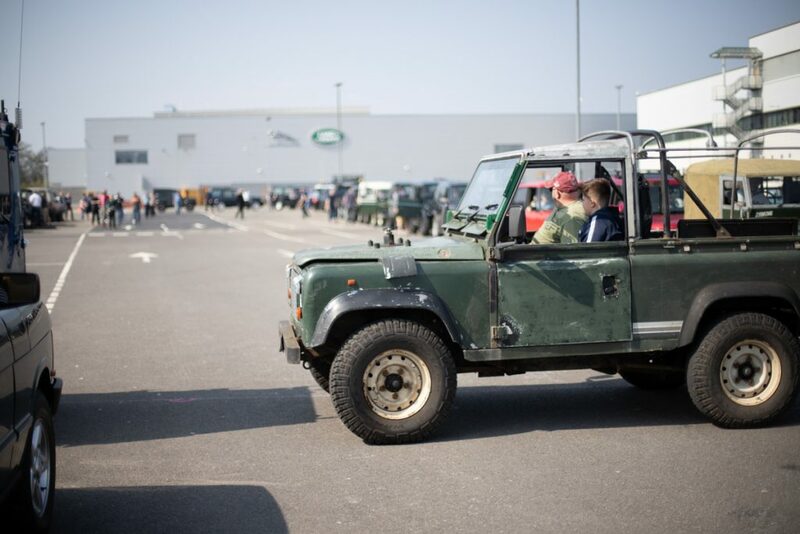 The anniversary event allowed Land Rover Jaguar employees and enthusiasts to visit and gave them the chance to enjoy a bacon butty, a drive around the site in convoy with a series 1 Land Rover Defender in the lead, and then parking in a rather unusual fashion so that they ended up in the form of a Land Rover Defender! You never know with large images, how well they have worked – or if they have worked at all, until you are up high. But there was a rather nifty DJI Maverick drone flying above us to take some photos. 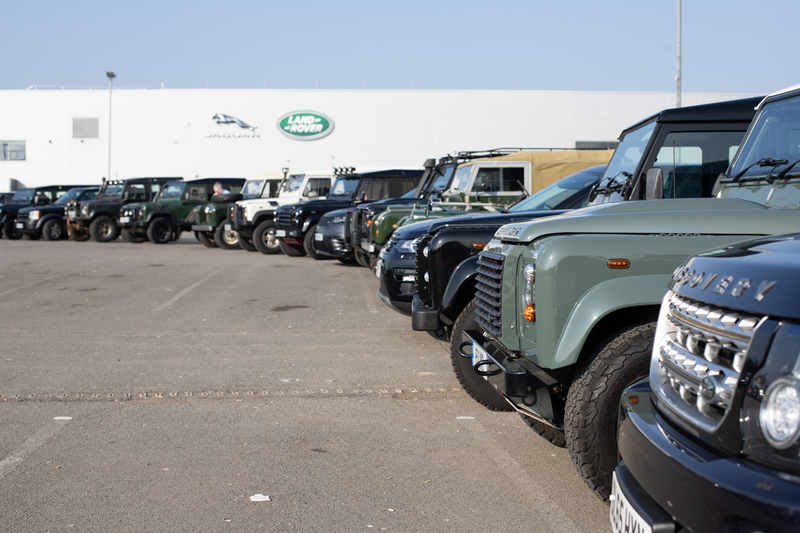 Everyone parked up, waved out of their cars and lo and behold – we had done it, the cars were in the right place! 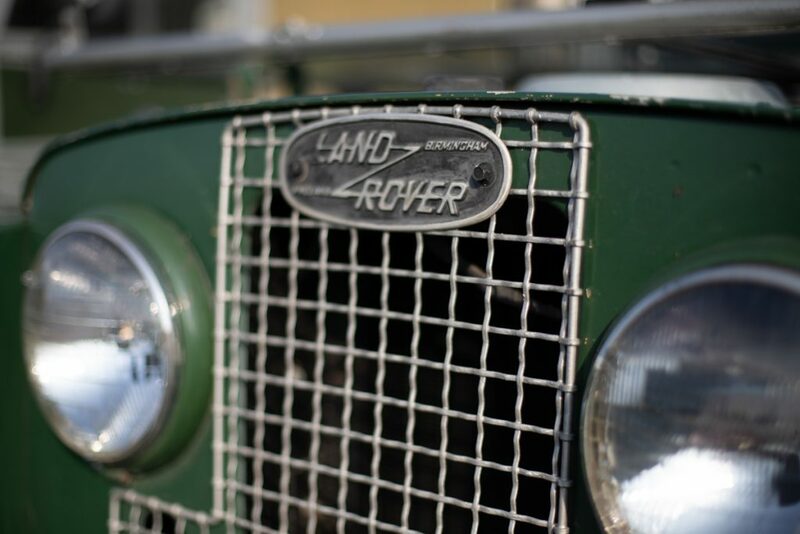 It was a wonderful, sunny day to mark the occasion and everyone was in good spirits, congratulations on 70 years Land Rover.